For 102 years, the National Association for the Advancement of Colored People (NAACP) has played a pivotal role in shaping a national agenda to ensure the political, educational, social, and economic equality of African Americans and others who face a history of discrimination in the United States. In this new report, Misplaced Priorities: Over Incarcerate, Under Educate, NAACP researchers assembled data from leading research organizations and profiled six cities to show how escalating investments in incarceration over the past 30 years have undermined educational opportunities. Misplaced Priorities represents a call to action for public officials, policymakers, and local NAACP units and members by providing a framework to implement a policy agenda that will financially prioritize investments in education over incarceration, provide equal protection under the law, eliminate sentencing policies responsible for over incarceration, and advance public safety strategies that effectively increase healthy development in communities. Misplaced Priorities echoes existing research on the impact excessive prison spending has on education budgets. Over the last two decades, as the criminal justice system came to assume a larger proportion of state discretionary dollars nationwide, state spending on prisons grew at six times the rate of state spending on higher education. In 2009, as the nation plummeted into the deepest recession in 30 years, funding for K–12 and higher education declined; however, in that same year, 33 states spent a larger proportion of their discretionary dollars on prisons than they had the year before. • The nation’s reliance on incarceration to respond to social and behavioral health issues is evidenced by the large numbers of people who are incarcerated for drug offenses. Among people in federal prisons, people in local jails, and young people held in the nation’s detention centers and local secure facilities, more than 500,000 people — nearly a quarter of all those incarcerated—are incarcerated as the result of a drug conviction. sentenced in 2008 from just 10 of Houston’s 75 neighborhoods (by zip code). These neighborhoods are home to only about 10 percent of the city’s population but account for more than one-third of the state’s $500 million in prison spending. approximately 200 neighborhoods (by zip code). These areas are home to only about 16 percent of the city’s population but account for nearly half of the state’s $1.1 billion in prison spending. ◦◦In Houston, 5 of the 6 low-performing schools (83 percent) are in neighborhoods with the highest rates of incarceration. Among a growing number of states that are finding better ways to manage their corrections systems, four states—Kansas, Michigan, New Jersey, and New York—have seen significant declines in their prison population as a result of policy changes that seek to reverse the trend of overspending on incarceration. However, the relative successes in these states have yet to spread across the nation or result in increased investments in education. 1. Study the problem: Support federal, state, and local efforts to create a blue-ribbon commission that will conduct a thorough evaluation of the criminal justice system and offer recommendations for reform in a range of areas, including: sentencing policy, rates of incarceration, law enforcement, crime prevention, substance abuse and mental health treatment, corrections, and reentry. 2. Create reinvestment commissions: Support commissions charged with identifying legislative and policy avenues to downsize prison populations and shift savings from prison closures to education budgets. 3. Eliminate disparities in drug laws: Support efforts to eliminate disparities in sentencing between crack and powder cocaine at the state and federal level. 4. Increase earned time: Support reforms that would allow prisoners to earn an earlier release by participating in educational and vocational programming as well as drug and mental health treatment. 5. Support youth violence reduction programs: Support programs and policies to develop a comprehensive plan for implementing evidence-based prevention and intervention strategies for at-risk youth to prevent gang activity and criminal justice involvement. 6. Reform sentencing and drug policies: Eliminate mandatory minimum sentencing for drug offenses that help fuel drug imprisonment. 7. Use diversion for drug-involved individuals: Reform prosecutorial guidelines to divert people to treatment who would otherwise serve a mandatory prison term. 8. Shorten prison terms: Send young offenders who would otherwise receive mandatory sentences to structured programs to help them earn their GED and shave time off their prison sentences. 9. Increase parole release rates: Improve parole boards’ ability to use evidence-based strategies when making decisions to parole prisoners, thus improving parolees’ chances for success and increasing parole approval rates. 10. Reduce revocations of people under community supervision: Develop alternative-to-incarceration programs that will reduce the number of people sent to prison for technical violations. 11. Support reentry and the sealing of records: Support legislation that will close criminal records of certain offenders after they have not committed another crime within a certain number of years. Laws and policies that have led to a record 2.3 million prisoners in America2 affect all of us and limit our ability to address other priorities. The nation’s spending on incarceration has limited our collective ability to support education, one of our most valuable societal investments. Nearly all of the states and the District of Columbia are facing some of their worst budget shortfalls ever,3 causing state and local governments to cut education systems, lay off teachers, close schools, increase class sizes, and raise costs at colleges and universities. These devastating cuts to education are happening at a time when the latest data show that billions of dollars continue to be spent on our nation’s ineffective and overburdened prison system. As spending for incarceration has increased, over the last 20 years and especially the last 2 years of the Great Recession, education has been a key casualty in budget battles. This is particularly visible in cities where taxpayers continue to pay millions every year to imprison people from just a few neighborhoods while schools are forced to close, teachers are let go, classrooms are overcrowded, after-school programs are cut, and college and university costs rise. If the United States were to take a different route and redirect the dollars it spends on prisons toward mental health and employment services, early-childhood education, community corrections, retaining quality teachers in the classroom, maintaining sensible classroom sizes, and sustaining the affordability of higher education, then there would be less need for prisons. communities realize the benefits associated with learning, including increased earnings, reduced unemployment, increased tax revenues from more vibrant local economies, reduced reliance on public assistance, increased civic engagement, and improved public safety for communities at risk for violence and victimization. As our misplaced investments in prisons increase, the bright futures of many of our young people decrease—which is why we must begin now to change course and invest in education over incarceration. “Fixing our system will require us to reexamine who goes to prison, for how long, and how we address the long-term consequences of their incarceration. Over the last four decades, the number of people incarcerated in America quadrupled from roughly 500,000 to 2.3 million.5 The United States is home to about 5 percent of the world’s population but has 25 percent of the world’s prisoners. We have won the dubious distinction of having the world’s largest prison system and the highest incarceration rate in the world (754 per 100,000 people). It is safe to say that as we lag behind other nations in high school graduation rates, we are a world leader in prisoners. This overreliance on incarceration is costly: Nearly $70 billion is spent each year to incarcerate people in prisons and jails, to imprison young people in detention centers and “youth prisons,” and to keep 7.3 million people under watch on parole and probation in our communities. warehousing people with mental health and drug problems, is not only costly but contributes to a destabilization of our communities, rendering them less safe. Largely as a result of the War on Drugs—which includes police stops, arrests, and mandatory minimum sentences—more than half of all prison and jail inmates—including 56 percent of state prisoners, 45 percent of federal prisoners, and 64 percent of local jail inmates—are now those with mental health or drug problems. With most of the money related to these incarcerations going toward the cost of imprisonment, little is left for prevention, treatment, education, and services to help prisoners deal with the challenges that led them to crimes and imprisonment in the first place. Therefore the cycle of addiction, unemployment, and crime continues or worsens upon their release. Racial disparities in arrests, sentencing, and incarceration continue to challenge the integrity of our criminal justice system. While one-third of the nation’s population is African American or Latino, these ethnic and racial groups account for 58 percent of the nation’s prisoners. The well-documented disparities in enforcement of our drug laws reveal that current drug policies impact some communities more than others. While Americans of all races and ethnicities use illegal drugs at a rate proportionate to their total population representation, African Americans are imprisoned for drug offenses at 13 times the rate of their white counterparts. Not only are African Americans and Latinos over-represented in the criminal justice system, but they are also more likely to experience lethal violence and victimization in that system. 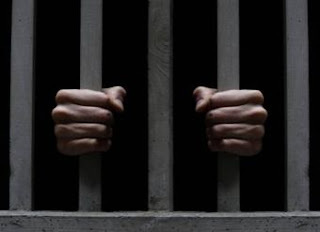 According to Unlocking America: Why and How to Reduce America’s Prison Population, if African Americans and Latinos were incarcerated at the same rates as whites, today’s prison and jail populations would decline by approximately 50 percent. In other words, if the country could address the reasons why we incarcerate African Americans and Latinos at higher rates than whites for the same crimes, we could, in effect, dramatically bring down the prison population and save billions of dollars. Low-income whites are also increasingly impacted by ineffective criminal justice laws and policies. For example, whites are now the fastest-growing group of drug prisoners in the United States, possibly as a result of the relatively new focus on methamphetamine use and trafficking. With 1 in 10 white men without a high school diploma likely to end up in prison, white families and communities are now being caught up in America’s growing reliance on prisons to solve social problems. Another group negatively impacted by our over-reliance on incarceration is women, who comprise the fastest growing population of prisoners in the country. As of 2009, the United States imprisoned over 200,000 women, with more than a million more under some form of criminal justice supervision. From 1997 to 2007, the number of women in prison has grown by 832 percent. This trend has been consistent in every state across the U.S., with women’s rate of prison population growth far exceeding that of their male counterparts. Unfortunately, data also shows that incarcerated women are those who themselves have more than likely experienced abuse in their past. The latest numbers released by the Department of Justice Bureau of Justice Statistics reveal that more than 57 percent of women in state prisons and 55 percent of women in local jails have been physically or sexually abused in the past.18 These numbers differ from jurisdiction to jurisdiction. In New York for example, a study found that 82 percent of women at Bedford Hills Correctional Facility had experienced severe physical and/or sexual abuse in their childhood; more than 90 percent had suffered such abuse in the course of their lifetimes. The overuse of prisons has serious negative consequences for the individuals imprisoned, for their families, and for our collective society. Spending time in prison reduces people’s health quality; makes it more difficult to obtain jobs, higher education, housing, and day care for their children; and in many cases, prevents them from voting when they do return to their communities. The intergenerational cycle of criminalization continues when parents go to prison, because their children are more likely to end up in the foster care system, which in turn increases their likelihood of becoming involved in crime or being institutionalized, thus placing even more of an economic burden on states. Read the entire article with references here.